I can't believe that 2012 is over already. Honestly, it didn't feel like Halloween, Thanksgiving or Christmas until the day was upon me. Perhaps it has a lot to do with the unseasonable weather we've had this fall. I don't know....but, the months speed by. My Gram used to say that the older you get, the faster time moves on, and she was so right. 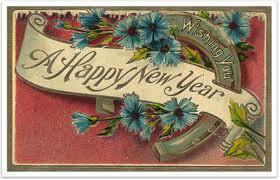 As we bid 2012 a fond farewell, I have to say it has been a good year for me. I've had several new and exciting adventures, and I look forward to 2013, and all it has to bring. As each new year begins, I set goals for myself....things I want to accomplish or new challenges. For 2013, I want to learn a lot more about social media tools and PhotoShop (which was on my list last year. I learned a bit, but not as much as I'd like!). I also want to learn to make a great pie crust, and bake delicious pies. I love pie! And soup...I love soup, but really don't have many good soup recipes. Yes...soup and pie. The other goal is more personal. I'm making it a point to be more gracious. I try to be kind and helpful, and now want to focus on being more gracious. Kindness and graciousness go hand in hand, I think. The world can always use more grace and kindness, don't you think? I'd like to close the year with a Give-away! Leave me a comment about any goals, wishes, or challenges you have for yourself in the coming year! 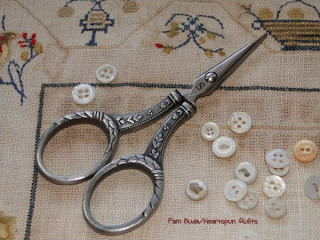 Post your comment by midnight Wednesday for a chance to win a pair of these heirloom scissors! And...thanks so much for taking the time to visit me here! I truly appreciate it more than words can say. It's been 307 days since it last snowed in the Chicago area...and today we're getting a bit of the white stuff! It's a beautiful, lazy snowfall with giant flakes....so pretty! I've lived here my entire life and I've never known a winter without snowfall so late in the season. This one will give us a measly 1 inch, but I'm glad to see it anyway. I know many other parts of the country would love for us to have some of their snow, and you're probably sick of it already, but we're all hoping for a bit of measurable snow. It's just part of the rhythm of the seasons and it seems odd not to have it. Now that Christmas is over, we're enjoying a week of play and relaxation here. It seems the week in between Christmas and the New Year is great for that. We've been feasting from the leftovers, enjoying movies with our kids, and loving the easier pace of life. You too? What have you been enjoying this past week? In addition to all of that, I've been playing catch up with surfing Pinterest and reading blogs. In case you enjoy Pinterest....you can now find me on Pinterest! I'd love for you to look at my boards and follow me if you like what you see. 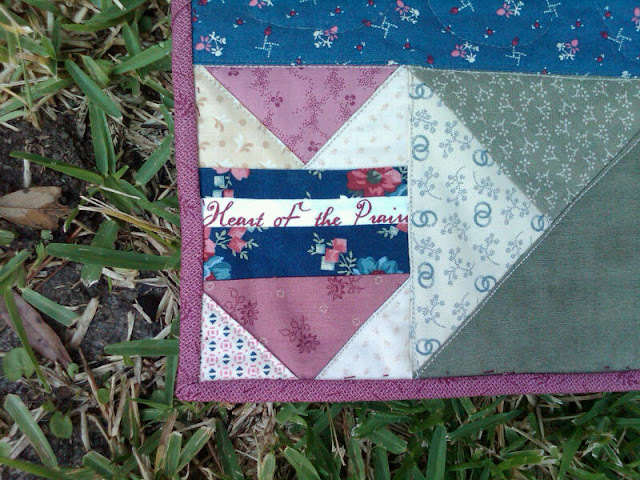 Slowly but surely, I'll be loading lots of Heartspun Quilts photos, with a lot of them taken in my home. Pictures you usually don't see, but I thought Pinterest would be a good place to post them. Many of the blogs I like to read allow me to "Follow by Email" which is a great way to keep up with them, and I thoroughly enjoyed Lisa Bongean's "12 Days of Chrismas" posts. 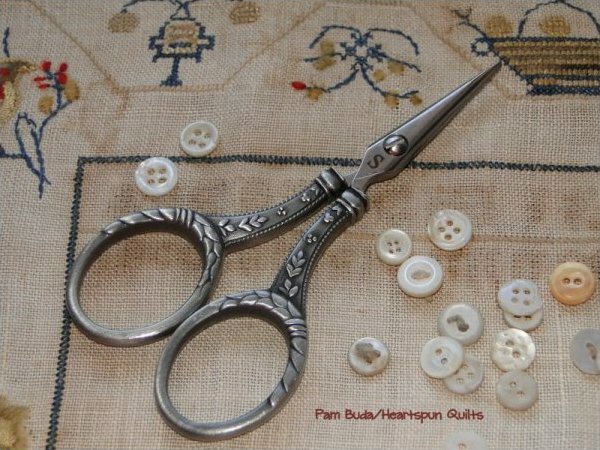 There were loads of good things to read about each day, but I have share her post from Day 8, where she told of the many virtues of sizing or starching your fabrics. If you know me at all.....you know I've been preaching this for ten years now! Many, many designers know the unbelievable benefits of sizing/starching your fabrics, and I was so jazzed to read Lisa's post. Here's the link if you'd like to read it for yourself. You can certainly go back from Day 1 and read them all...very enjoyable! what to expect, you can read all about it by clicking here. simply enter your email address in the "Follow by Email"
icon, found on the right sidebar of my blog. That way you can simply print the email and begin sewing! Gloria Parsons of Olde Green Cupboard! the weekend with 200+ quilters. Sounds like such fun, doesn't it? It's been too long since my last post, and I've thought of you every day since, but the hustle and bustle of the season left my good intentions unfulfilled. It's been a crazy week with last minute gift shopping, grocery shopping, wrapping, Christmas cards, and well.....all the finishing touches. I started cooking on Friday and it's been a non-stop marathon cooking and baking session. We finally finished today about noon. Ah....at long last, we're ready. In about an hour my family will pack the car to head over to my cousins home. For my entire life, Christmas Eve has been spend, for the first 50 years at my Aunt Betty's house, and now at her daughter's home. For all of us, Christmas begins when we pack the car and make the trip there, to spend the evening with "that side" of the family. Christmas music will be playing as we drive, with anticipation riding high as we await the visit with family members we don't often get to see. Great food and laughter will be had by all. Now that our kids are grown, we will no doubt reminisce about how it was when they were younger, leaving reindeer food on the driveway, cookies for Santa, and their church Christmas programs. Of course there will be the memories of early morning surprises when they discovered the things Santa left under the tree. 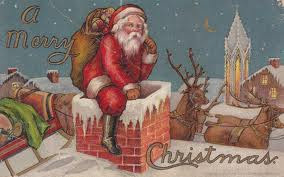 Christmas Day will be celebrated at our home with "the other side" of the family. This has been our tradition for the past 28 years, since our daughter was born. We will again enjoy yummy food, great conversation and the opportunity to create new memories as we also remember the reason for the season! I hope you all enjoy the traditions your family has created over the years as we celebrate Christmas, and keep in your heart those people who have lost so much in recent events, and all of the men and women in our armed forces who are away from their homes and families in service to our country. Do you like a little competition? How about one using Judie Rothermel fabrics? Oh...yes....that picqued your interest, huh!! 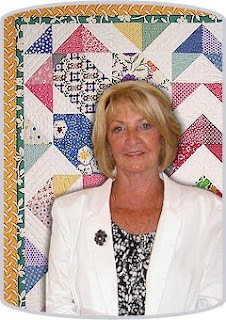 Well, my fellow Marcus Fabrics designer, Judie R is celebrating her 25th Anniversary with Marcus. 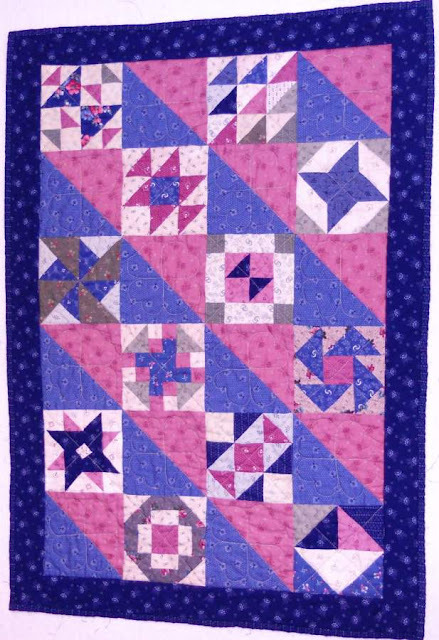 Judie was the very first designer to bring us 1930 and Civil War reproduction fabrics, and we've been loving them ever since. 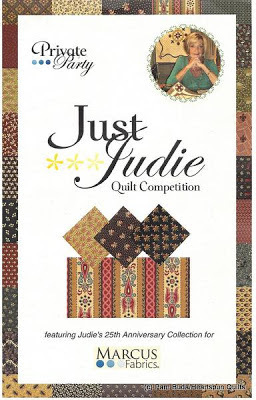 Did you know there is a fabric collection honoring Judie's 25th Anniversary? Click here to see the entire line. 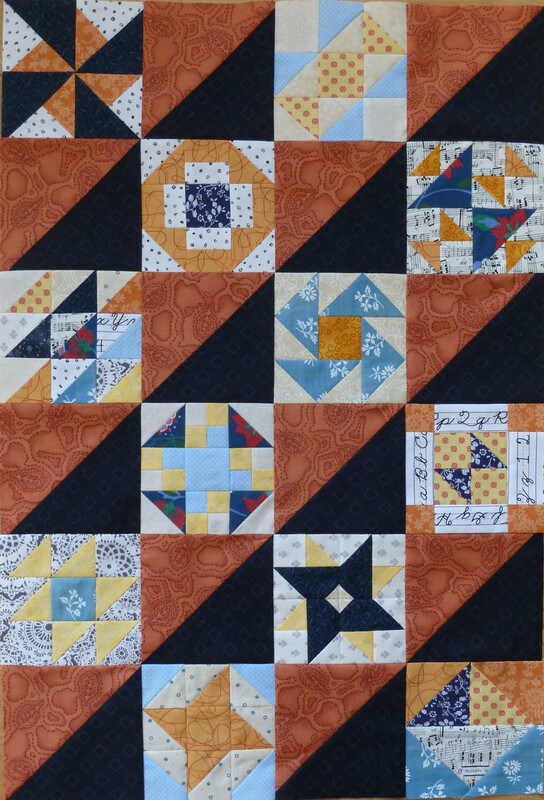 Contest Fabric Pack 8 x 8 sqaures of all the Anniversary prints! ten prints from the Judie Rothermel 25th Anniversary Collection. of the entire Anniversary collection! plenty of time to buy the packet, and start designing and sewing! Click here to get all of the competition rules and read about the prizes. the previous eleven years, and envy those who have them in their stash!! I'm betting there's a whole lot of great prints I missed out on. I console myself with all of the lovely fabrics that are produced each year. wouldn't think you've landed in the wrong place. a face lift....something new for a new year! 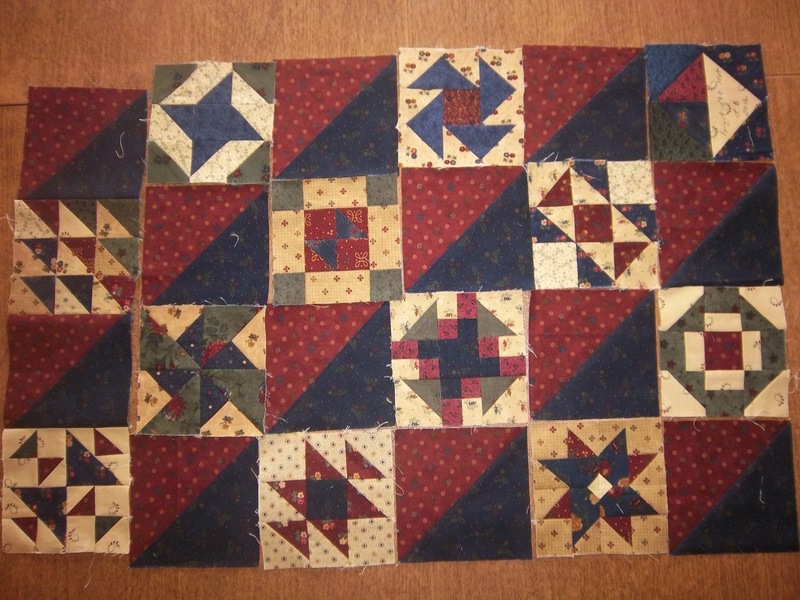 This will not be a quilt you can make quickly...and that is so OK with me. In the end, it will be worth it. We all have those projects that take their sweet 'ol time being made, and others that are done in a jiff. It's nice to have both. As I dig in my scrap bin, I'm finding fabrics that I haven't seen in years. 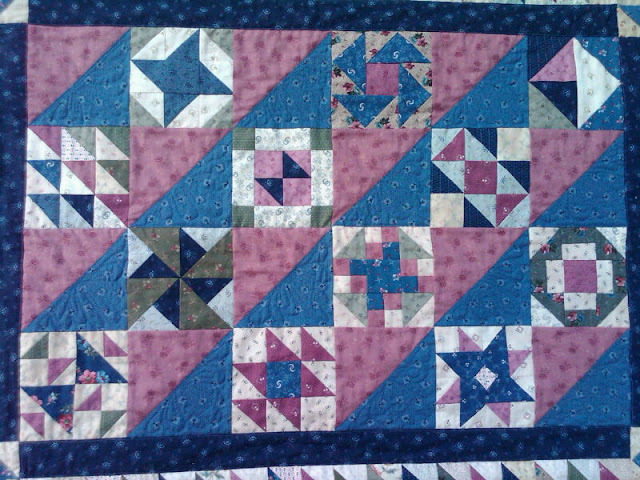 They remind me of projects made long ago, or the store where I bought them, or the friends I was with at a particular quilt shop. 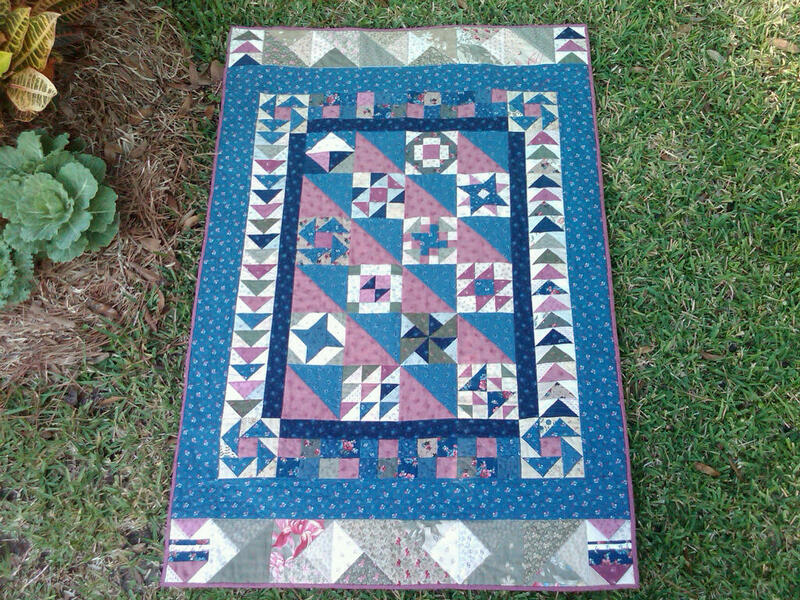 So...this quilt is already full of memories....and while we're sewing, I'm making more! 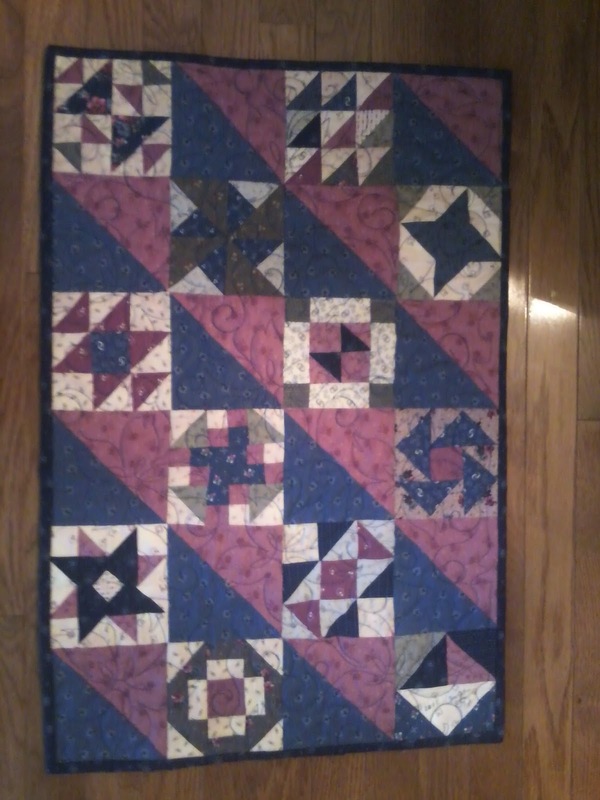 Just another example of how I feed my soul with the stitches I sew. For those of you who know how Blogger works...it's really great, but uploading lots of photos seemingly takes forever. When I created the show-n-tell posts last week, I confess that I was multi-tasking, taking care of other things while the photos loaded. It made good use of my time, but in doing so....I omitted one photo from a dear quilter, Sylke, from Norway. Sylke was the very first person to send me a photo of her completed quilt top, and I feel very badly that her photo was omitted. Let's take care of that problem right now!! 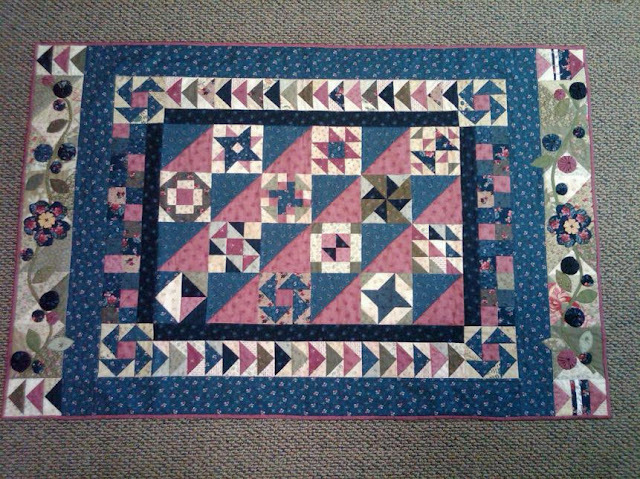 Thanks, again, everyone, for participating in the sew-along. Loved every moment and I'm looking forward to the next one, starting January 4th! 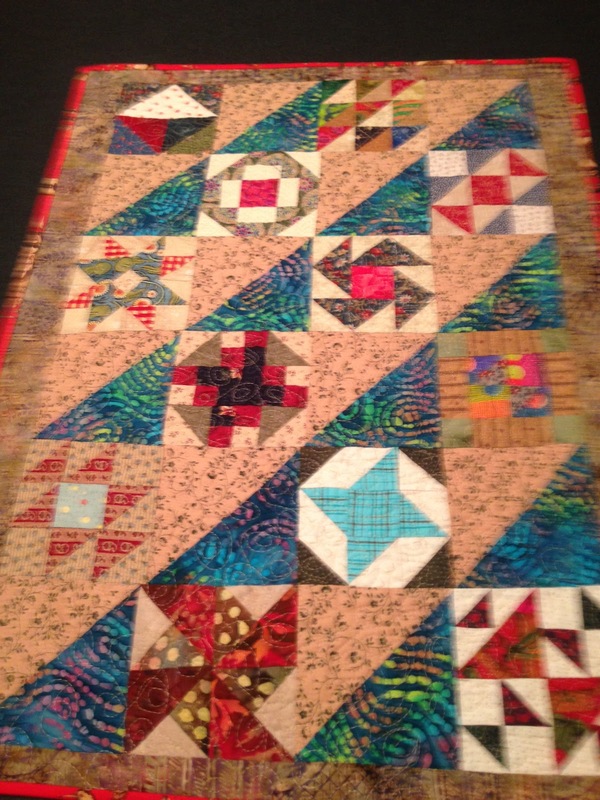 Yesterday, I spent the day teaching the 6th Gathering of the Prairie Women's Sewing Circle club at The Quilt Merchant. It is one of my favorite ways to spend the day. I've made preliminary progress on Journey Five, but haven't really begun working on it in earnest as other priorities have needed my attention. Right after the first of the year, I'll get to work. Next week, my friend Deb will be coming over to sew with me several days to help piece a new quilt that has several thousand pieces!! Yes...thousand!! I'll try to give you a little teaser....but can't reveal too much right now. We'll sew, and sew and then I'll set my sewing machine aside to concentrate on preparations for the holiday. I know we're all busy doing much the same things....juggling many tasks while humming along to White Christmas, or Jingle Bells. Are you ready for Christmas yet? Not me! The house is decorated, but I still have about a third of my shopping left to do. Presents are being wrapped slowly but surely. My daughter, Nicki, has begun making Christmas cookies. I used to love to bake them, usually making 15-17 different kinds of cookies, but I no longer have the time, and she wanted to carry on the tradition. Win, win!! It's been very warm here in Chicagoland. Last week, on December 4th, it was 70 degrees! It's nice, but my body clock says it's time for chilly, snowy weather. Christmas just isn't the same without snow! I hope your holiday preparations are coming along nicely for you. My heartfelt thanks to everyone who participated in my Forget Me Not Sew~Along! Isn't it much more fun to sew with friends?!! I hope you enjoyed all the quilts as much as I did. My next sew along begins in just a few short weeks. And.....I'm already planning one for spring time that will be a bit different from the others! More fun in the works!! Thanks so much for visiting with me today! This week, I'm immersed in creating two new fabric lines. I tell ya...it's exciting and I'm already wishing I had the fabric to sew with. It will be many months in production, but well worth the wait! Coming much sooner will be two fabric lines already well into production. One is a new wovens line and the other all cotton. 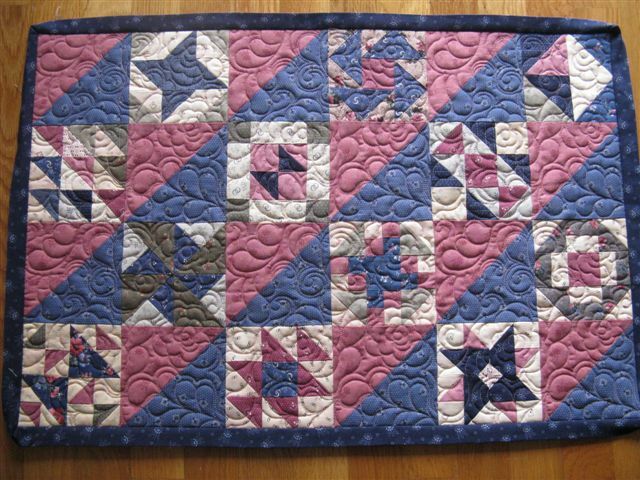 Did you know that wovens and/or homespuns are becoming very popular again? 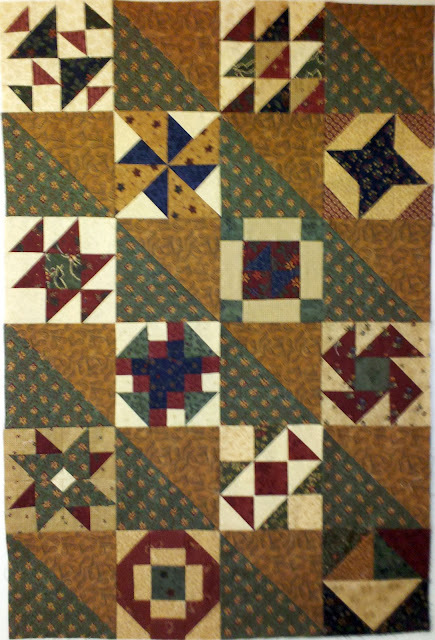 I wanted to do a wovens line because they are prominent in so many early American quilts. 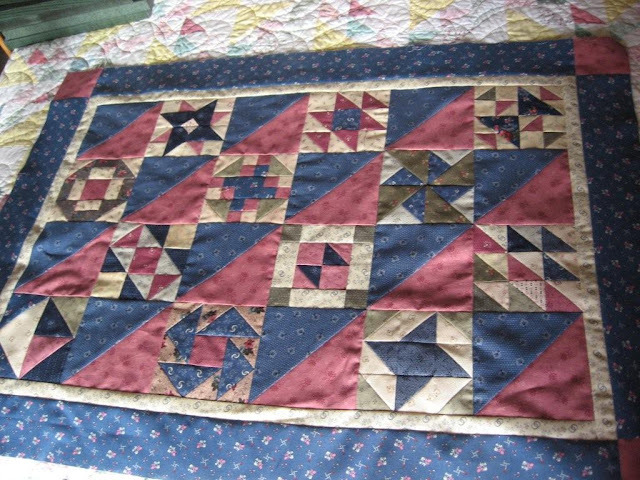 I'll be blogging about that very soon, with a bit of show-n-tell from my pile of antique quilts! Jennifer...I think you were right! You're intuition was spot on and your Forget Me Not quilt is lovely and unique....and you!! Everyone did a great job and I've enjoyed each and every photo. I hope you did, too. 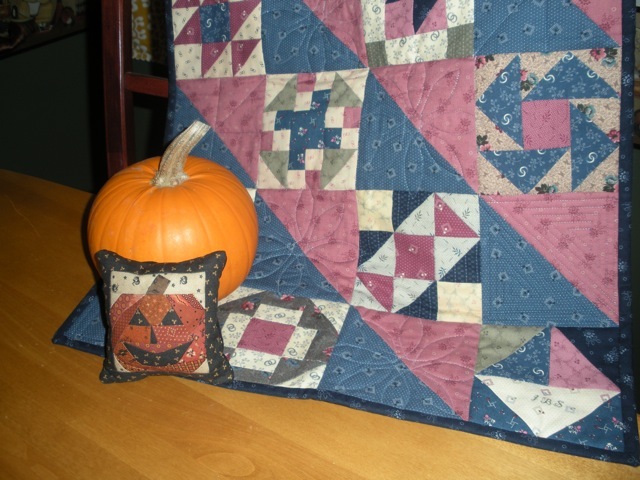 More quilts in my next post. I have tell you all how I thoroughly enjoyed hosting and sewing along with each of you. My heartfelt thanks to all whom participated, sent me comments, and to each person who took the time to email me the photos you're about to enjoy. It makes me crazy happy to know that not only did we sew along with quilters from all over the United States, we had quilters sewing along from around the world! How cool is that? 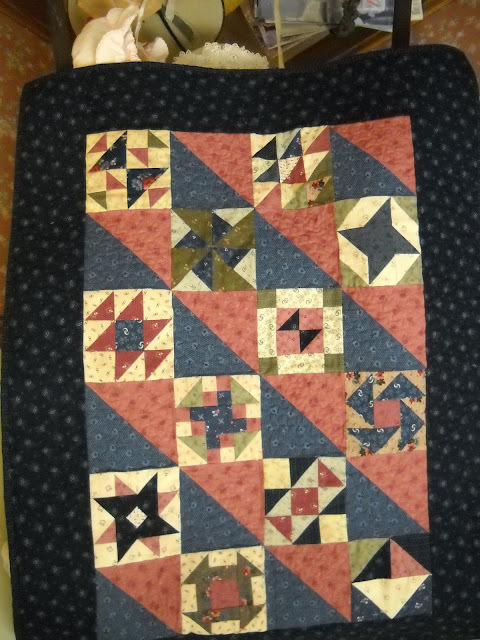 As you scroll thru the photos, not only did we have a nice variety of fabric palettes, but many quilters chose to set their blocks differently, added borders, and some added applique! I L O V E that!! The show-n-tell will take place over three posts, and these wonderful photos don't need any commentary from me as they speak very nicely for themselves. ﻿Thanks for stopping by today! A few weeks ago when we were antiquing, this sweet little sampler was one of the things I purchased and I wanted to share it with you. It's a Schoolgirl's sampler, and obviously she was still working on it. It was still in the hoop when I bought it. Notice that the hoop doesn't have any screw or other device to tighten it. 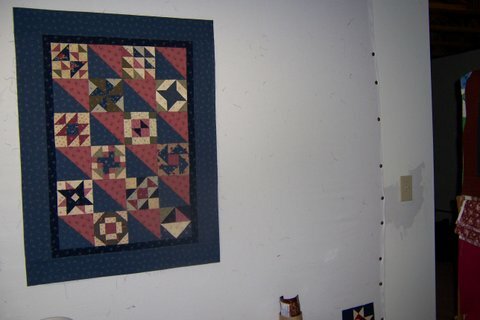 While the sampler itself is a treasure (I adore and collect old samplers when I find them), it was when I turned it over that it stole my heart, and I instantly knew I just had to have it. In order to create the needed tension between the two hoops, several pieces of beige cloth have been wrapped around the inside hoop, then stitched in place. What a wonderful make-do find! The top hoop really isn't all that tight against the inside hoop. It barely gives a bit of tension to the linen. I wonder how many pieces of linen have been in between these hoops? Perhaps a mother and her daughters all used it? The hoop itself has a lovely feel and the patina is glorious from wear. I suppose most people would pick it up and put it down without a thought. But, as you know, my mind and heart live in the prairie most days, and this unfinished sampler in its old hoop instantly transported me back to the 1800's. Truth is, I could go on and on as to why this speaks to my heart, but I won't. I'm thinking that for many of you, you know exactly what I mean. Do you have any items from the past that touch your heart? Sherry K., who is one of the ladies in my Prairie Women's Sewing Circle club, brought me this "Prairie Diamond" ring. She told me that, in the 19th century, especially when immigrants were headed west to homestead the prairie, sometimes when they became engaged to marry, the young man would fashion an engagement ring from a nail, bending the nail into a ring for his beloved to wear.